This gift book of photographs of Michelle Obama from an official White House photographer is perfect for young readers! This stunning and revealing collection of seventy photographs, coupled with personal reflections and behind-the-scenes stories, captures and celebrates Mrs. Obama's White House years and her dedication to improving the lives of young people in the United States and around the world. 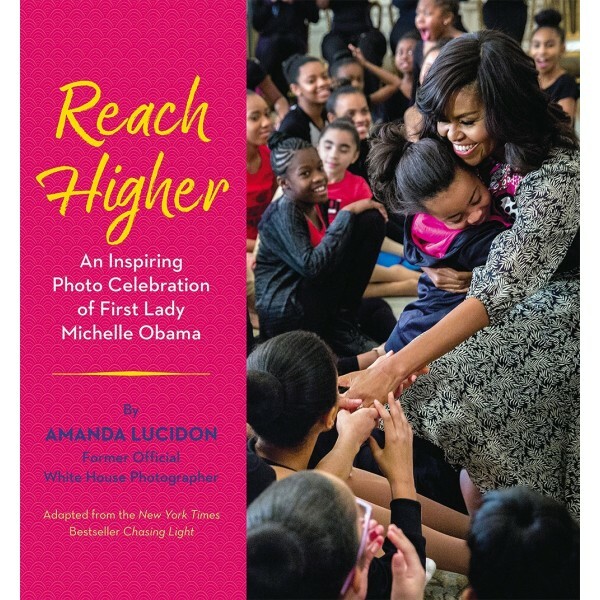 As a former official White House photographer, Amanda Lucidon shares an insider's view on the role of the First Lady by documenting life at the White House and sharing personal memories that reveal what makes Mrs. Obama so special. 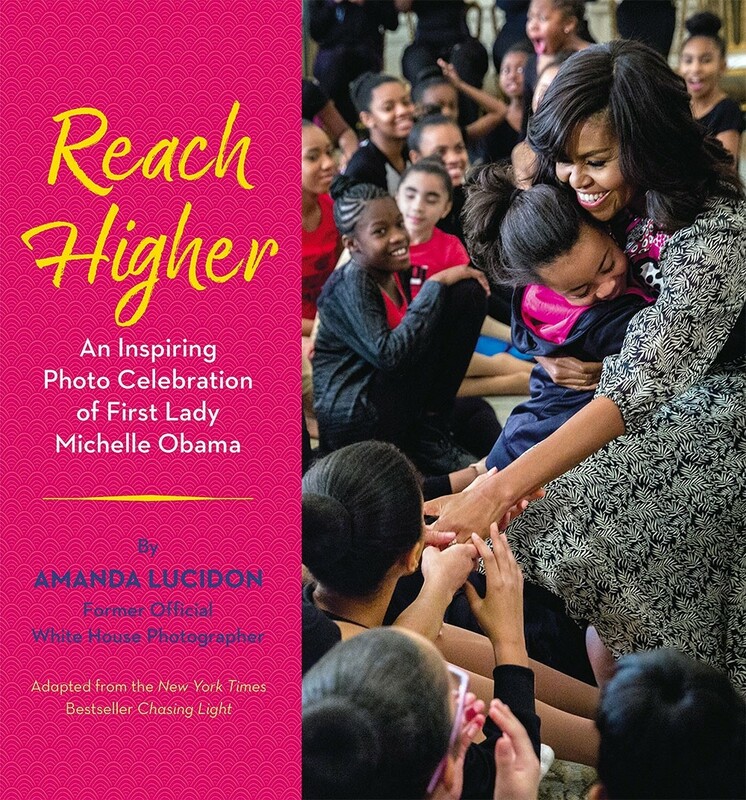 Newly adapted in a deluxe format for young readers from the New York Times bestseller Chasing Light, Reach Higher is a beautiful celebration of Michelle Obama and powerful reminder of the impact of a remarkable First Lady.